Offering you a complete choice of products which include mini soya destoner machine, rice destoner, maize destoner, sun flower destoner machine, vacuum type destoner and pressure type destoner. 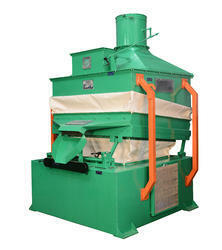 We are leading manufacturer and exporter of MiniSoya Destoner Machine. 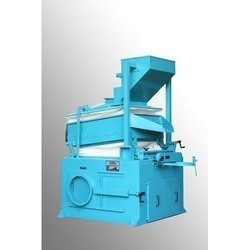 We are leading manufacturer and exporter of Rice Destoner. 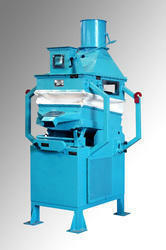 We are a leading and prominent manufacturer and exporter of Maize Destoner. 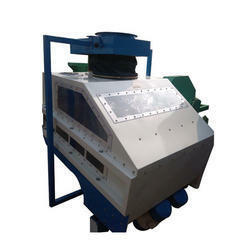 We are leading manufacturer and exporter of Sun Flower Destoner Machine. We have specialized in manufacturing & offering a complete range of Vacuum Type Destoner which works on separating stones, heavier impurities and other harmful objects from same sized food grains while creating a vacuum inside the unit. These equipment are totally enclosed which provide dust free operation with easy operation controls for speed, feed, pitch, elevation & air for a high degree of accuracy. 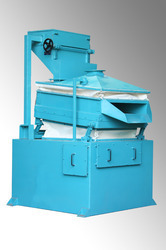 This range of Pressure Type Destoner is enabled with inbuilt fan unit and unique air distribution arrangement which make this equipment fast and reliable. We use advanced technology to comprehend this range which results in durable shelf life, optimum performance and high operational facility of these products. 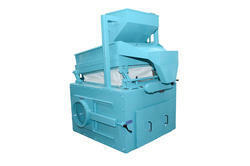 This range of equipment is very fast in removing the heavy impure items and stones from same sized seeds and food grains. Versatile – any granular separations into lights & heavies. Practically vibration less finely counter – balanced drive arrangement. New air-throat design, no loss of good product. Mud Ball Destoner is mainly used for separation of mud balls / black mitti from Grains / Seeds like Wheat, Soybean Seeds etc. Its very useful when your final product is formed as a flour. Its also used when you sale your Grains / seeds as a whole formed mainly very much useful for Wheat and Soybean Seeds. The Goldin Magnetic Destoner is very use full for separation of Mud balls (black mitti) from all type of Grains / Seeds / Oil Seeds / Cereals etc. 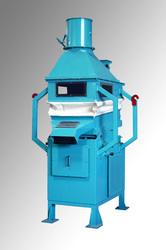 We are leading manufacturer and exporter of Groundnut Destoner. These equipment separate the heavier impurities very easily.